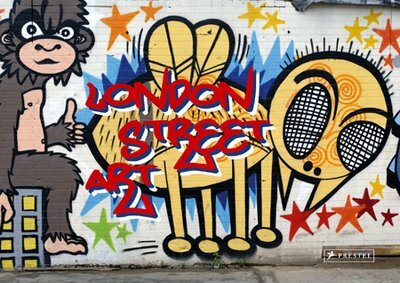 Prestel publishing is set to release a new pocket sized book in september, which will focus solely on London Street Art. Shot in a riot of colour by press photographer Alex MacNaughton, London Street Art presents a broad spectrum of work from over London, including Hoxton, Shoreditch, Camden, and Hackney. Providing a lasting record of the best artists on the London street art scene, the photos in the book capture pieces that last only a matter of hours or days before they are buffed by the council. From vast free masterpieces on walls, quirky stencils on doorways and pavements, to subtle stickers, tags and signatures, London Street Art is as hilarious as it is political, and showcases some of the most current, exciting and fresh urban art forms in the world. The book is available from larger bookshops and online from Amazon here. this book is complete rubbish. It looks like it was made by a tourist who spent an afternoon walking around Hoxton. Better off shopping around first. mhh - for a newbie like me is this a realy great book . . .